Dewitt & Lane was founded in 2001 as the brainchild of Bob Hughes. Bob worked in the retail car sales business for twenty years holding nearly every position from salesperson, to Finance Manager, to Sales Manager, and then General Manager at several large domestic car dealerships in Georgia and Indiana. Having served in these many roles, Bob had the chance to see the good, the bad, and the ugly of running dealership operations. With this experience, Bob saw a need for a consulting company that would help dealerships sell more vehicles, make more margin on what they sold, and avoid costly charge backs. His goal was to help dealerships better understand incentives, regulatory compliance, and efficient operations. Since 2001, Dewitt & Lane consultants have provided consulting services at nearly 1500 different dealerships in 47 states and Canada. Dewitt & Lane consultants have reviewed over 4 million deals and found nearly $81 million in lost incentives, while helping educate dealerships on how to do it right. 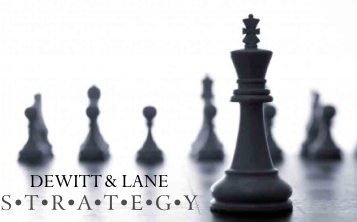 Dewitt & Lane has consultants that reside in five different states and consistently conducts 15-20 audits every week in every U.S. time zone. No C & I consulting firm has more experience. We are proud of our partnerships with these dealerships – many of which have engaged us for their 8th or 9th annual audit.